When you lose control, bad things happen. Keep your hair on lock with our ultra-lightweight TRESemm&eacute; Extra Hold Mousse that delivers maximum hold and control, without stiffness or stickiness. Finding a mouse that is flexible and controlling is hard. Luckily, that doesn’t apply here. The professional-quality formulas in our Extra Hold Collection are designed to give you total control of your tresses with enough flexibility to style. Next time you need to shape your style, start with Extra Hold Hair Mousse to keep flyaways and stray hair at bay without piling on layers of thick sticky, crunch. TRES TWO Extra Hold Hair Mousse contains holding isopolymers to expertly iron out stray hairs for controlled styles that are flexible, not flat, and always beautifully full. Since our volumizing mousse alcohol-free, you also won’t have to worry about over-drying hair. Step 1: Start by prepping your hair with your favorite TRESemm&eacute; shampoo and conditioner, or your favorite curly hair products. Step 2: Towel dry hair, shake can and dispense 2-3 egg sized dollops of TRESemm&eacute; Extra Hold Mousse. Step 3: Apply the hair mousse to hair either directly with a brush or with your hands then brush from roots to ends to cover thoroughly. Step 4 :Blow dry your hair and finish off with TRESemm&eacute; Hair Spray. Our volumizing TRESemm&eacute; Extra Hold Mousse delivers maximum hold and control, without stiffness or stickiness - great for curly hair. When you lose control, bad things happen. Keep your hair on lock with our ultra-lightweight TRESemmé Extra Hold Mousse that delivers maximum hold and control, without stiffness or stickiness. Finding a mouse that is flexible and controlling is hard. Luckily, that doesn’t apply here. The professional-quality formulas in our Extra Hold Collection are designed to give you total control of your tresses with enough flexibility to style. Next time you need to shape your style, start with Extra Hold Hair Mousse to keep flyaways and stray hair at bay without piling on layers of thick sticky, crunch. TRES TWO Extra Hold Hair Mousse contains holding isopolymers to expertly iron out stray hairs for controlled styles that are flexible, not flat, and always beautifully full. Since our volumizing mousse alcohol-free, you also won’t have to worry about over-drying hair. Step 1: Start by prepping your hair with your favorite TRESemmé shampoo and conditioner, or your favorite curly hair products. Step 2: Towel dry hair, shake can and dispense 2-3 egg sized dollops of TRESemmé Extra Hold Mousse. Step 3: Apply the hair mousse to hair either directly with a brush or with your hands then brush from roots to ends to cover thoroughly. Step 4 :Blow dry your hair and finish off with TRESemmé Hair Spray. Our volumizing TRESemmé Extra Hold Mousse delivers maximum hold and control, without stiffness or stickiness - great for curly hair. Instructions: Our Lead Stylist Suggests: Step 1: Prep your hair with TRESemme Shampoo and Conditioner. Step 2: Towel dry hair, shake and dispense 2-3 egg sized dollops. Step 3: Apply the mousse to hair either directly with a brush or with your hands then brush from root to ends to cover thoroughly. Step 4: Blow dry your hair and finish it off with TRESemme TRES Two hair spray. I use this product about 2-3 days a week and love it. The hold is great. The flexability is wonderful. Its great for a messy curl look. I love this product for when Im getting that go to hair look! It smells salon fresh, with a smell that lasts all night! I love it as it isnt too pricey so it is adorable. I would recommend this product if you have curly hair or want to keep a firm hold. 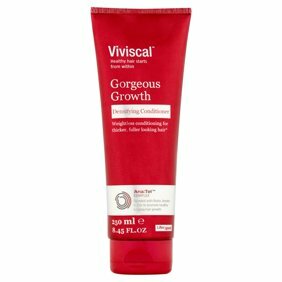 This mousse is fantastic to apply to damp hair before blow drying to prepare hair for styling with curls or waves (think SOFT and BIG volume) OR it's great to use lightly over already dry hair before styling to give hair a slightly firmer, more defined hold. This hairspray is fine for a hold of your going somewhere when the weather is not to hot otherwise it gets sticky to the touch not for humidity weather. Usually apply this when I dont have time to straighten or curly my hair. Works great with damp hair. Wavy hair looks amazing because it holds it throughout the majority of the day . Would recommend it !